Herbs and spices are treasures of the plant world, packed with potent nutritional benefits. And they’re the secret to making healthy food taste delicious, naturally. They’re the essential magic ingredients of any sumptuous Italian tomato sauce, zesty Thai stir fry or aromatic Indian curry. Herbs and spices bring bright, natural flavours and scents into your food – and they’re full of potent nutritional benefits. If you’re not used to cooking with herbs and spices, it can feel like a fancy, complicated thing. The truth is, it’s incredibly easy to start playing around. All you need is a little garlic, basil and parsley, and a simple meal of grilled fish and brown rice becomes a rich and satisfying feast. Vegetables roasted up with rosemary, thyme and oregano are suddenly lusciously flavoursome. Dust cinnamon and nutmeg over a healthy breakfast of oats, fruit and yoghurt, and your sweet tooth will be tingling. “Herbs and spices have been a long part of our history but most of us don’t use them anywhere near enough,” says Jane Freeman, Accredited Practising Dietitian and spokesperson for the Dietitians Association of Australia. “Not only do they give us lots of aromas, flavours and textures, but they’re concentrated sources of what I call power plants – antioxidants and phytochemicals, which do a lot to protect and repair our cells and reduce inflammation in the body." Inflammation is the body's coping mechanism against things that could damage it, and it puts stress on our cells. "Our cells are constantly repairing and dividing, and the inflammatory process can impact on that healthy cell maintenance," Jane says. 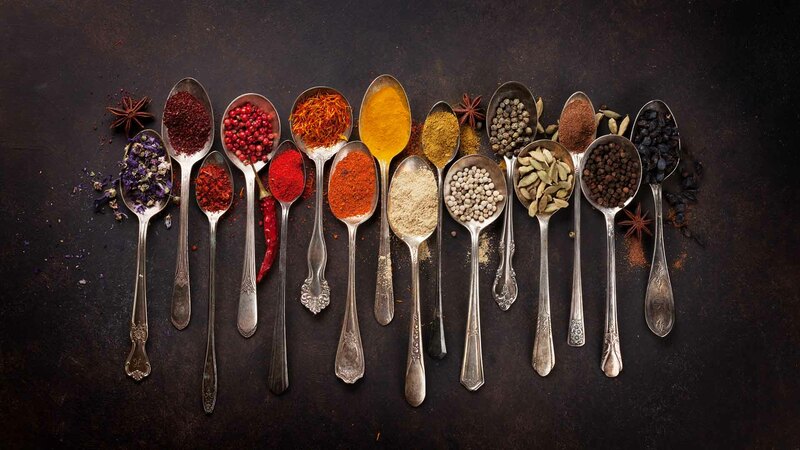 Possibly the biggest health benefit of using herbs and spices is what they replace. When you flavour your food naturally, you’re likely to use less salt and sugar and fewer packaged sauces and condiments. It’s an easy way to make everything taste fresher, lighter and healthier. Packaged sauces, curry pastes and condiments are convenient and can certainly have a place in your diet, but many are quite high in sugar and salt. Many of us don’t even realise how much sugar and salt we’re consuming each day, because so much of it comes hidden in packaged foods. If you usually buy lots of bottled sauces, making your own with herbs and spices can also save you money. Once you get your spice collection going, it doesn’t cost much to keep it replenished. A $2 packet of chilli flakes or ground cinnamon will probably last you a couple of months – a little sprinkling goes a long way. The spice aisle can be intimidating if it’s unfamiliar to you, but you don’t need to buy everything. Start with a few basics and build up your collection as you discover the flavours and combinations you like. Here are a handful of popular herbs and spices to play with. If you like a fiery kick, toss chilli flakes into everything. The spiciness comes from a compound called capsaicin, which has been linked to a number of health benefits, like supporting weight loss and heart health. An essential in Italian cooking, basil adds fresh, sweet flavour and a strong clove scent. It also has strong antibacterial properties. “Basil is a potent source of vitamins A and K, which helps with the immune system and blood clotting,” Jane says. A sprinkling of cinnamon naturally sweetens up breakfasts, snacks, desserts and drinks. Cinnamon is known for its potent anti-inflammatory properties, and emerging research suggests it may help control blood sugar levels. 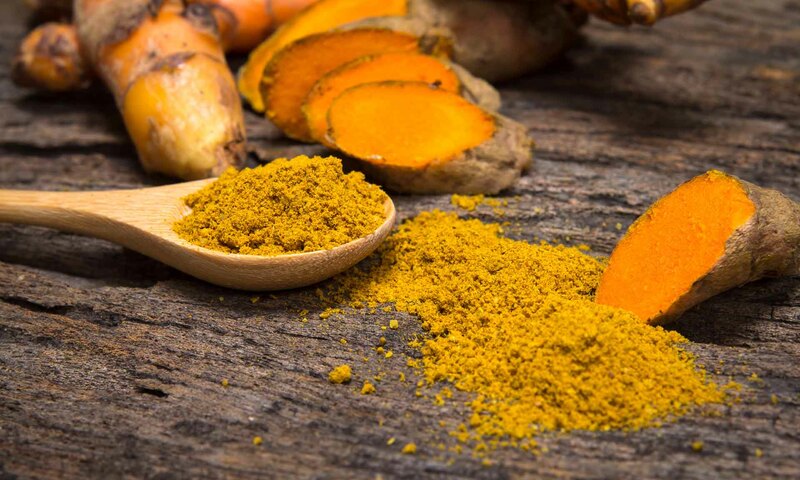 Turmeric is the current Instagram star of the spice world, thanks to its beautiful golden-orange colour and anti-inflammatory benefits. “It’s a powerful antioxidant and has lots of beneficial effects on our immune system,” Jane says. Its light, musky flavour makes it a tasty addition to curries, soups and roasted vegetables, or even smoothies. A tender herb with a slight lemony flavour, coriander goes perfectly in curries and stir fries, especially combined with cumin. It’s a good source of vitamin A, which is linked to healthy skin, eyes and bones. Ginger packs a power punch of anti-inflammatory benefits. It’s good for digestion and soothing nausea, and it’s also been studied for its potential in reducing pain. With its sweet, sharp flavour, it adds warmth to stir fries and curries, as well as sweet dishes and baked goods, and drinks like tea and smoothies. Bring a delicious aroma to roasted chicken, lamb or root vegetables with a sprinkling of cracked rosemary needles. “Rosemary has great antioxidant and antibacterial properties and is also full of fibre, which can help with bowel health,” Jane says. Combine it with thyme for the ultimate cosy flavour. “Fennel is a good digestive aid and a good prebiotic, meaning it helps with promoting healthy gut bacteria,” Jane says. It has a grassy flavour with notes of licorice which goes well in tomato sauces, salads, mashed potato, meatballs or roasted salmon. Paprika has a deep, smoky flavour and a brilliant red colour that makes everything feel exotic. Rich in vitamins C and A (good for immunity and healthy skin), it brings an earthy kick of heat to eggs, stews, tomato sauces, Moroccan tagines and Spanish paellas. Try some of these flavour combinations for easy, delicious cooking.